Póstaeir ag léiriú conas a deirtear “Nollaig Shona” i dteangacha éagsúla ar fud an domhain. 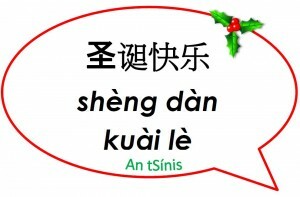 This website has 12 different Christmas resources in .flp format covering, among other things, Christmas Around the World, quizzes, a spelling test and Christmas customs. 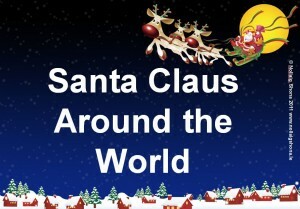 Powerpoint presentation showing the different names for Santa Claus in different countries all over the world. 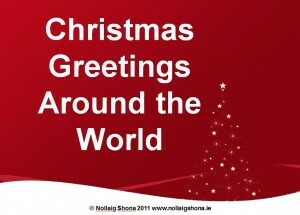 Powerpoint presentation showing the different ways to say “Merry Christmas” in different countries all over the world. Lots of Christmas Resources from the Woodlands Junior School (UK) website. Resources include Printable, Poetry, Christmas Around the World, Advent Calendars and lots of information on the customs and traditions of Christmas. 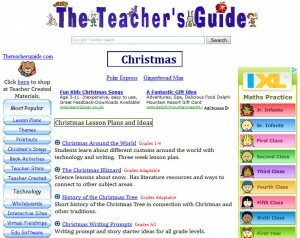 A selection of Christmas Resources from the Teacher’s Guide website, including Christmas Around the World, the History of the Christmas Tree, IWB Resources, Christmas Printouts, Crafts and Recipes. This website contains resources, traditions, customs and everything associated with Christmas including the story of the Nativity and how Christmas is celebrated throughout the world. Learn about how Christmas is celebrated in countries like England, Mexico, the United States, France, Germany and Sweden. 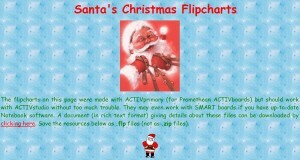 There are also some other resources like Christmas Clip Art, Poetry and Recipes. Activities on this website include Colouring Pages, Games, Songs, Jokes and Christmas Around the World from the All Things Christmas website.